Cheltenham Nursing & Rehabilitation Center in Philadelphia’s East Oak Lane section had 33 complaints filed against it from 2015 through last year; all but three were dismissed as unsubstantiated by regulators. Yet, the state found 31 violations during annual licensing inspections during the same period. Despite years of pressure from advocates for the elderly and others, the Pennsylvania Department of Health continues to do a poor job of investigating complaints about nursing home care and fails to properly assess the significance of harm to patients, according to a new report by Community Legal Services of Philadelphia. From 2015 through 2017, nursing-home inspectors dismissed 85 percent of complaints against Philadelphia nursing homes as unsubstantiated, just a small improvement from the previous three-year period, when they said 92 percent of complaints were unfounded, Sam Brooks, a senior attorney at Community Legal Services, found in a review of Department of Health surveys. At the same time, the inspectors appear to have taken a more rigorous approach to annual licensing surveys. From 2012 though 2014, they found an average of 2.5 violations per annual survey. That figure jumped to 6.25 in 2016 and 7.8 in 2017, Brooks found. "If you look at some of these robust annual investigations, they are finding quality-of-care violations, and really getting into the nitty-gritty, so they're capable of it. The disparity between the complaint investigation and the annual surveys is remarkable." Brooks said in an interview Wednesday. 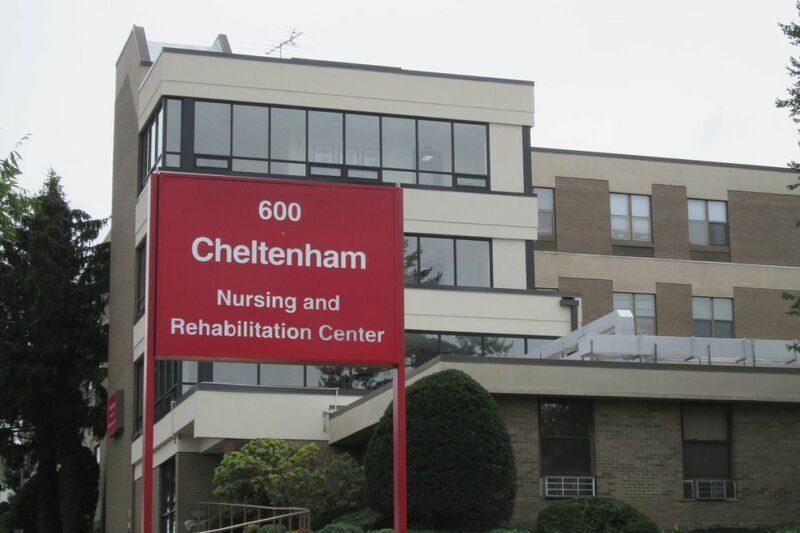 Cheltenham Nursing & Rehabilitation Center, for example, had 33 complaints filed against it from 2015 through 2017, but only three of them were substantiated by investigators. During the same period, however, Cheltenham, in Philadelphia's East Oak Lane section, was cited for 31 violations during annual inspections, Brooks found. "This shows that the complaint investigations are faulty, and that inspectors are not properly spotting and recording violations," Brooks wrote in his latest report. Brooks plans to present some of his findings Friday at a meeting on how nursing home complaints are handled sponsored by State Sen. Art Haywood (D., Phila.). The session is scheduled at Center in the Park at 5818 Germantown Ave., in the Germantown section of Philadelphia. Others scheduled to participate in the panel from 1 p.m. to 3 p.m. are Diane Menio, executive director of the Center for Advocacy for the Rights & Interests of the Elderly, and Margaret Barajas, Pennsylvania's long-term care ombudsman. It was not clear Wednesday whether a representative of the Department of Health, which did not provide a comment on Brooks' criticisms, would attend. Brooks' report, which updates one he issued in June 2015, also details 16 examples of violations involving harm to residents (not including mice infestations at six nursing homes) that were downplayed by regulators. One additional case was a maggot infestation of a patient's wound last fall at Caring Heart Rehabilitation & Nursing Center in Germantown. The infestation was discovered because "a strong, pungent, noxious odor" was coming from a patient's room, the state's inspection report said. Staff had noticed excess flies in the patient's room as early as Sept. 5, the state report said. The state characterized the maggots as an isolated, relatively low-level problem, with "potential for more than minimal harm." Brooks and other experts were appalled. "What it indicates is a high level of understaffing and poor care. Unfortunately, what we only see are these really extreme cases. If they can't tend to a wound and prevent maggots, the most basic thing that they could provide, imagine all the other care that's going by the wayside in that facility," Brooks said.